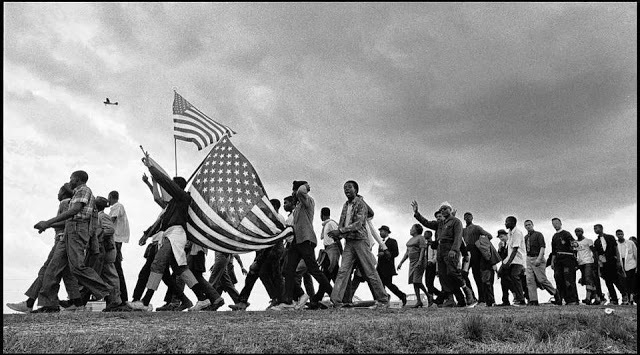 Selma to Montgomery march for civil rights in 1965. 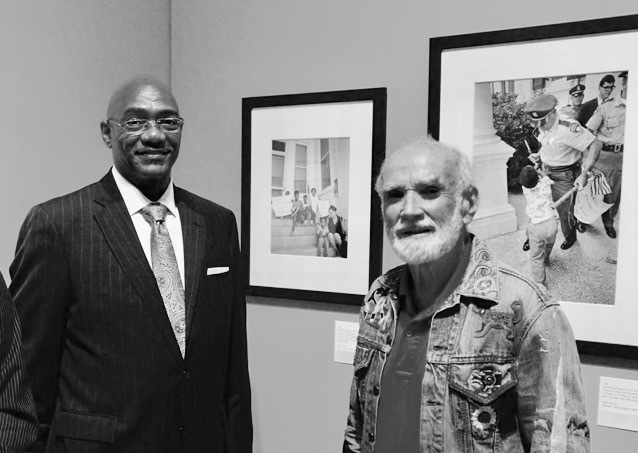 Photographer Matt Herron, part of project to document the civil rights movement, was in Jackson, Mississippi during the 1960s where he captured images that won the World Press photo contest. 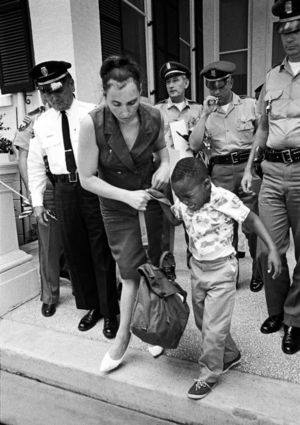 After their home had been firebombed, Anthony Quinn, five-years-old, accompanied his mother, siblings, and Dr. June Finer (a member of the Medical Committee for Human Rights), to the Mississippi Governor's office. Five senators had been elected from districts where black constituents were unable to vote. 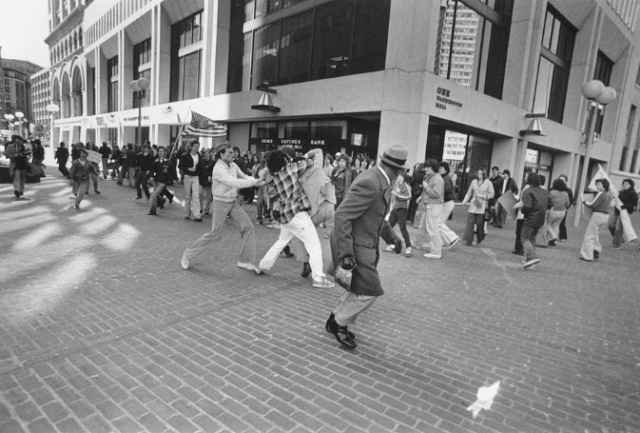 The group had been refused admittance, and they were quietly waiting on the steps in protest. Anthony Quinn photographed by Matt Herron. The Jackson police were jailing protesters in the cattle stockades at the fairground. Earlier Dr. Finer, from the Medical Committee for Human Rights, attempted to enter the fairgrounds to provide medical assistance. She was blocked from entering and intended to get in the fairground by being arrested. 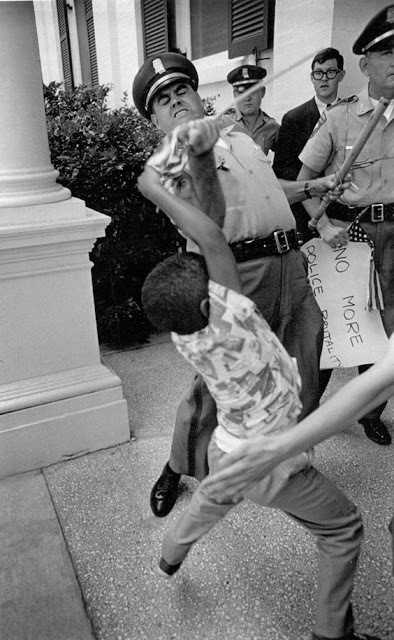 during a 1965 peaceful protest. 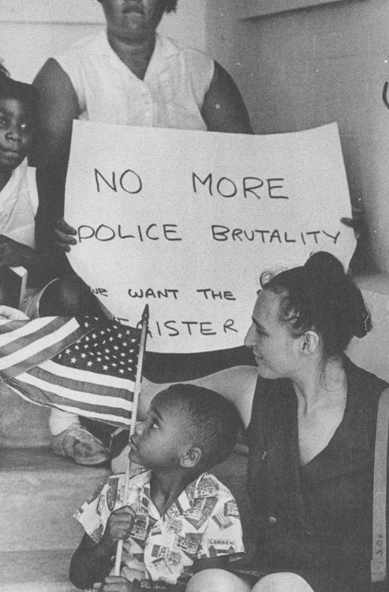 Mississippi Highway Patrolman Hughie Kohler was photographed confiscating the family's ‘No More Police Brutality’ sign . . .
Anthony Quinn reaching for his flag. 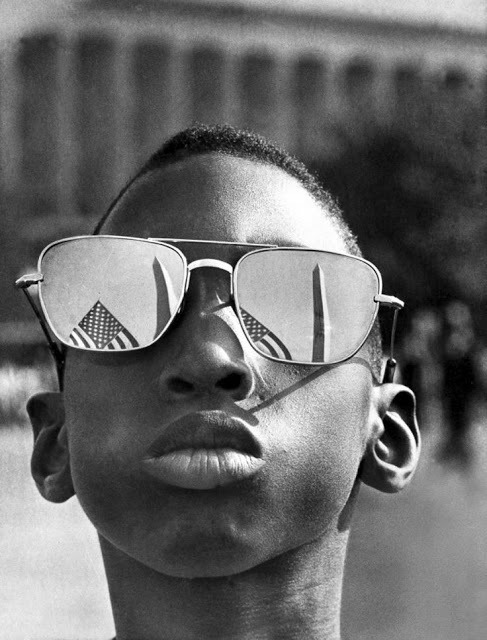 Photographed by Matt Herron in 1965.
and photographed snatching the boy's American flag. 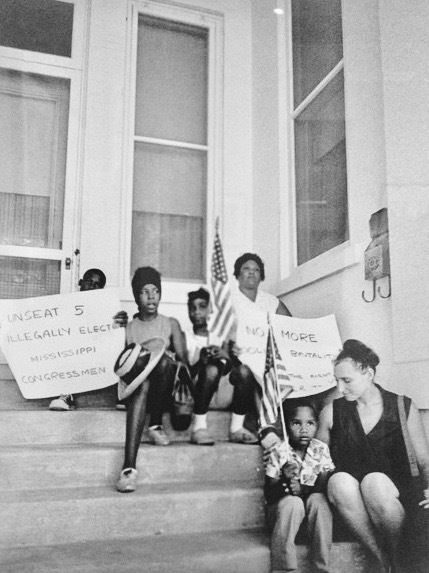 forced off the steps of the Mississippi Governor's office. 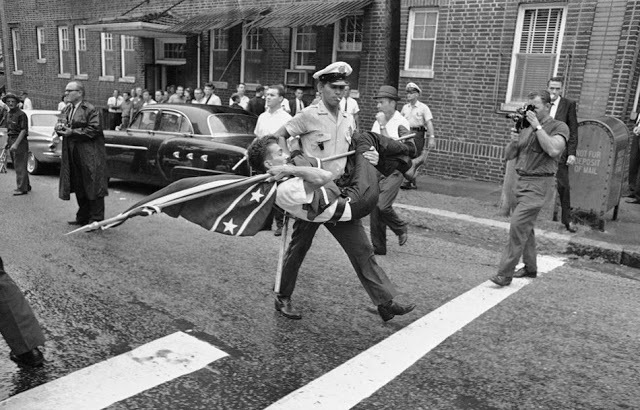 Matt Herron's photographs helped generate outrage and pressure for change. Dr. Anthony Quinn passed away in 2015 from pancreatic cancer. He was fifty-five. Matt Herron paid tribute Anthony after his death. Anthony and his sisters were the first black kids to integrate McComb public schools. He told me it seemed like he had a fist fight every day he was in school, either defending his sisters or himself. . . .
By his first year in high school, he was facing juvenile detention - a fate his older sister saved him from by removing him to Chicago to live with her family. Eventually, Anthony earned a Ph.D. in education administration and had served as a Department Head in Special Education, School Administrator at every level of K-12 education. An obituary a few years earlier also referenced the photos. Patrolman Kohler's family wrote that Kohler had regretted that moment "for the rest of his life." The flags were an important symbol in the South. 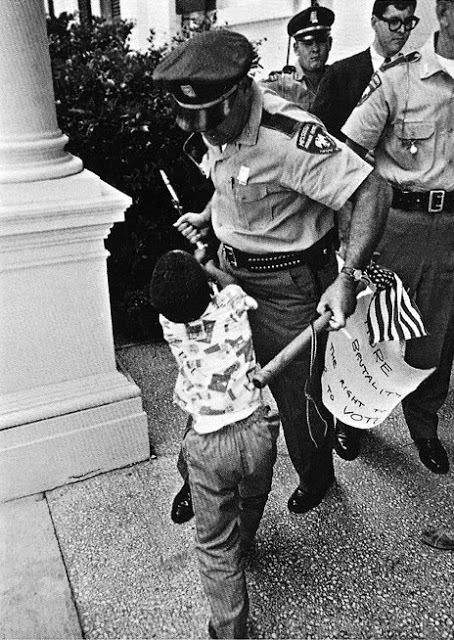 An American flag said very simply, "I would like the laws of the United States to be enforced in Mississippi." If you had a Confederate flag on your pickup truck, it said, "We like things the way they are." So people were pulled from cars and beaten on the highways in Mississippi because they had an American flag decal on their license plate frame. 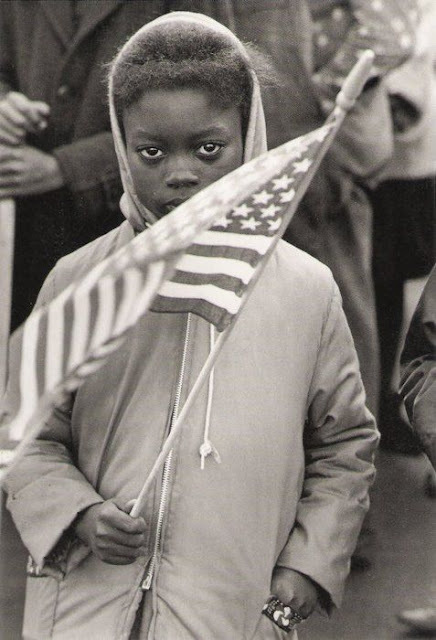 The Soiling of Old Glory, a Pulitzer Prize–winning photograph was taken by Stanley Forman. 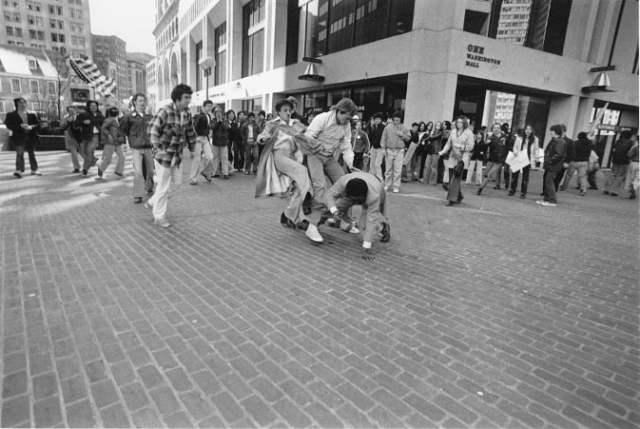 In 1976, the year of the bicentennial celebrating 200 years of American freedom, Boston was experiencing an integration busing crisis. 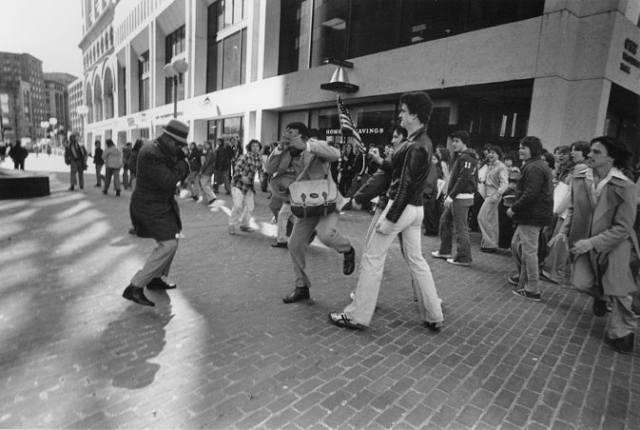 Integration protestor punching Ted Landsmark. Part of a series of photos taken by Stanley Forman. Ted Landsmark, a 29-year-old Yale-educated lawyer and civil rights activist was heading to city hall for a meeting. Ted Landsmark knocked to the ground, breaking his nose. Joseph Rakes, a 17-year-old from a South Boston neighborhood, had taken the family flag to the anti-integration demonstration. 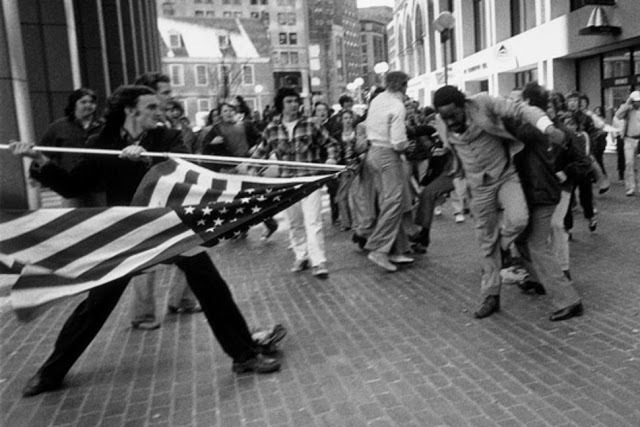 Ted Landsmark, accosted by several protesters in a Boston courtyard. Rakes was convicted of assault with a deadly weapon. He was sentenced to two years imprisonment and two years probation. The jail sentence was suspended. [The flag is] a symbol of what we aspire to be as a democracy. It is really an appropriate icon for all of us to look to as to what we want to be as opposed to what we sometimes have been.